The world’s largest record fair, Mega Record and CD fair, will descend on Utrecht this weekend for its 49th edition. 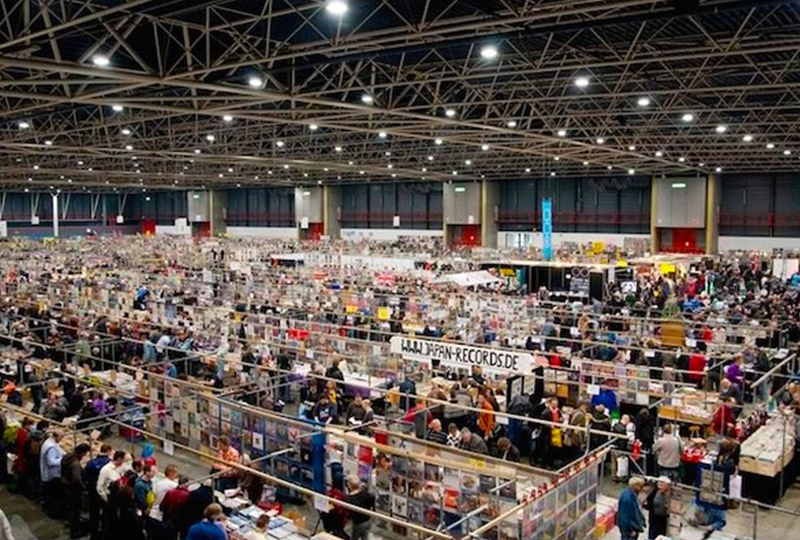 Over 500 vendors will be selling new and old vinyl wares at Mega Record and CD fair, across 12,500 square feet inside Jaarbeurs Expo. As in past instalments, there will also be auctions, performances and exhibitions throughout the course of the weekend, including a retrospective about the history of disco curated by Patrick Helene, and a live auction of over 100 rare records by UK-based Omega Auctions. Check out the schedule of performances and event details below. Address: Jaarbeurs Utrecht, Jaarbeursplein 6 in Utrecht. Entrance fee: €12.50 in advance online, €14.00 on the door.